Scott started driving a little later than his friends waiting until his late twenties to get behind the wheel. Although the late start to driving Scott was very natural, understanding everything we talked about during driving lessons we progressed through the subject extremely quickly. The only slight problem Scott had was he couldn’t seem to come off the clutch slowly, he knew what he had done each time but he had yet to perfect this. Within ten hours of going out driving Scott was almost ready to sit his driving test but was still to sit and pass his theory test which he hadn’t booked yet. We decided to put driving lessons on hold until he had that out the way so we could then book the practical test and do some final practice on the lead up to that. 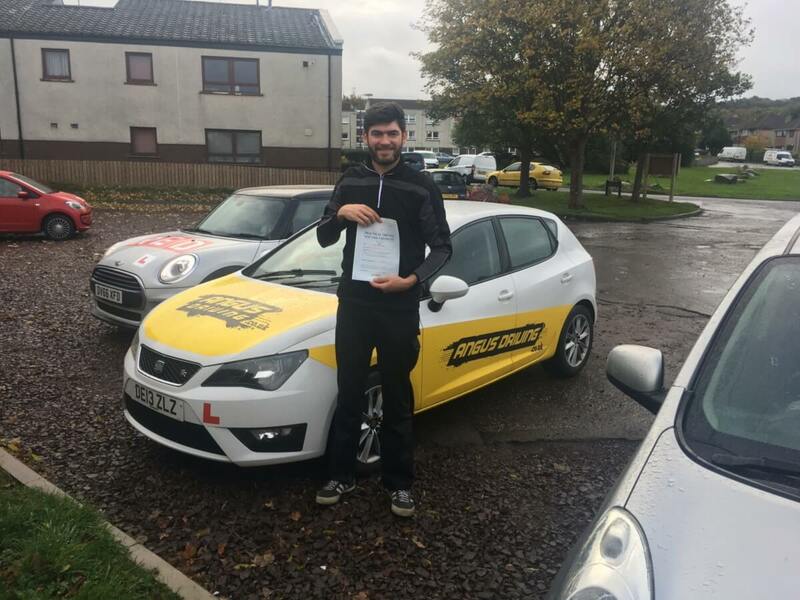 One year later Scott got in touch to say that he had finally got round to booking his driving test and it was time to get his practical test done. We resumed with some driving lessons and managed to line up a driving test for Friday the 13th in the morning. I picked Scott up in the morning and we headed into Edinburgh for a final drive before the test. I was confident and so was Scott which isn’t always a good thing. Haha. Scott had every reason to be confident though passing his driving test on his first attempt in Edinburgh. Well done.